The current data processing configuration of all components of an information system. Any perception of a differential produces data... for processing by an information system. Reduction in the scale of perceivable differential... alters options for data processing. Challenge to functionality drives evolution of one's individual perceptions... and like the current electronic digital devise application boom.... potential for advanced human functionality... provides impetus for investigation of one's installed data processing structure. As the Data Bus component of an information system... Ref: UQS Data Bus ... consciousness is associated with a Source, and Switch... and infers the ability to resolve a 2-bit differential as Energy/Space event data. All after is expanded consciousness... i.e. subsequent streamed sequence of events which can be given temporal order... next, next, next. A consciousness investigation suggest a need to resolve a model of consciousness... as a computational geometry... that can be verified by successful application of the mechanix derived from the computational geometry... to physical reality. Therefor... computational geometry should be specific to physical reality... i.e. transport of energy within a 3 dimensional geometry. An Energy/Space/Time data processor... i.e. Source, Switch, and Data Bus... Ref: UQS Data Bus ... that can sequentially process an absolute minimum differential... i.e. indivisiible quanta of data. To resolve an underlying quantum computational geometry... which gives context to a minimum perception of differential... i.e. resolves a minimum quanta of Energy (QE) occupancy at any minimum quanta of space (QI) address... requires a valid unified field matrix/geometry. Does this assume a sub-processor of the "Universal" Consciousness? If so... and one assumes the initial sub-processor quantization was consistent with the "Universal" quantization... then an investigation to expand application of quantum functionality/mechanix to reality... will require a valid unified field geometry... i.e. resolve of "Universal" computational geometry... and application of causal set criteria... i.e. mapping pulsed or single event Energy emission and subsequent distribution within the quantization geometry. It has been observed that sub-processors can imprint scaled path dictates... i.e. establish hierarchal preference in sub-processor's decision making... that may obscure functionality of the underlying information system components of the sub-processor. The "Universal" quantization scale underlying the sub-processor information system... may be imprinted by intent internal or external to the sub-processor... and to implement/restore successful application of quantum functionality/mechanix to reality... may not only require a valid unified "Universal" model... but also a history/memory of modifications made by the sub-processor... or it's environ. Any Intermittent Calculation State (ICS) request by the processor... Ref: UQS Data Bus ... accesses current state of the energy field choreography and intent. Pulse-One-Open ICS implies a default logic to resolve input of QE within the computational geometry... but no bias for the outcome of the ICS. Pulse-One-Close... logs a bias data base of successful ICS solution, and derived mechanix... which can be utilized by the Pulse-Two-Open ICS to resolve "next". The logged bias data base... of successful ICS solutions and derived mechanix... influences outcome of subsequent ICS. That is to say that intent... was necessitated by resolve of initial ICS... and it can be inferred that any subsequent ICS resolve... will expand intent. This suggest that A. Linde's discussion of quantum fluctuations associated with expansion of spatial geometrization... may also apply to quantum fluctuations associated with ICS sequencing. In the case of "Our Own Consciousness"... we can observe many orders of intent for outcome... i.e. influences on ICS reslove. Although UQS CAD/SIM emissions have solved out to 75 pulses... with a lab/game default setting of: Single ICS Solution ... the eventuality of a requirement for more than one solution to the ICS... would necessitate expansion of initial default logic. Historically... the scale reduction of Energy Choreography... as a data process within a computational geometry... can yield... either graphically or conceptually... an evolved visualization of functionality... i.e. advanced options for data processing Energy/Space relationships... from which to derive advanced Energy/Space mechanix. A quantized CAD data field... in which query of an addressable minimum quanta of Space (QI)... facilitates minimum quanta of Energy (QE) occupation status... is a virtual Quantum Energy Mechanix lab... i.e. supports graphical perception of absolute minimum differential... in which basic data processing operations...i.e. compare, replace, etc.... can be applied. In the last 200 years... the development of motion visualization tools have facilitated a temporal component... i.e. Energy/Space/Time relationship SIM models... in which the differentiation of Space can be theorized to generate the initial 2-bits at the root of a spatially expanding "Universal" Quantum Energy Data Bus. The closer the visualization corresponds to the installed "Universal" computational geometry... i.e. Energy/Space/Time data structure... the more effectively, derived/ supported functions apply to reality. Ref: previous UQS discussions of Cartesian and Radian computational geometries. We will herein consider 5 significant computational models... either as geometry... or as conceptual mathematics... in order of development.... that have yielded recorded visualizations of Energy Choreography. 1. The Vedic Sanskrit "Subtle Body"... 12,000 BC... as an investigation of the human body as an Energy/Information processor. 2. The DNA "Double Helix" Molecule... Crick/Watson/Wilkins... 1952... as an investigation of the Mass entity data structures utilized as components of human genetic code. 3. The Particle Accelerator Events "CST Proton Model"... A. Barzydlo... 2000.... investigates internal Energy choreography and collision mechanix of perturbative Energy entities within the "Universal" field. 4. The Cosmological "Self-Reproducing Inflationary Universe"... Andrei Linde... 2000... investigates a geometry link between pertrubative entities of the "Standard Model" and a causal computational geometry of a "Universal" information processor. 5. The UQS "Origin Singularity Quantization"... 2000... investigates initial unified volumetric unit quantization required for equal Energy distribution in all directions from a single point... and resolve of a pulsed QE/QI emission... dictated by the computational geometry of the quantization . This model "describes a subtle physiology having a number of focal points (chakras, acupuncture points) connected by a series of channels (nadis, Acupuncture meridians) that convey breath (prana, vayu, ch'i, ki, lung)"... and facilitates investigation of Energy Choreography as information processed by a 2D data bus visualization of causal computational geometry within the human entity/body....i.e. the human entity as an information sub-processor. Flow of minimum Energy quanta (QE) within minimum Spatial quanta (QI) are conceptually supported by various text associated with the model over time. SOURCE: Graphical visualization of "point of contact" to the "Universal" processor and it's source... equates as freely available "Universal" Energy for application by the "Subtle Body" sub-processor... and suggest a continuous pulsed emission rather than an emission in which all the Energy in the Universe... was dispensed in one big bang. SWITCH: Graphical visualization of a lotus petal as the quanta of Spatial Energy containment (QI)... resembles a 2D icon of the 3D UQS Address Pair (AP). DATA BUS: Graphical visualization of spatially defined Energy channels (path dictates) and connectivity... mapped to the human body... provide a 2D tree computational geometry model... from which to derive functions. Note that the "Subtle Body" geometry is not a perfect 3D unified field matrix... but the "Jewel in the Lotus" can be visualized as a 2D icon of the UQS 3D Origin Singularity (OS). Application to reality was... and is still being developed... utilizing the model. In that the model has survived more than 12K years... may be attributed to the availability of the data being investigated... i.e. the human body. That is to say that particle accelerators are not so readily available to everyone... as is one's body. This model investigates Mass entity data structures... i.e. scaled Energy choreographies... that can be differentiated at the data bus pulse rate resolution (frequency) ... being utilized by the human body Energy processor... for application of mechanix/functions associated with genetic data. The "Double Helix" provides spatial address correlation to Mass scale Energy entities... but the model makes no attempt to define a minimum unit of Energy (QE)... or a minimum Spatial address (QI) of QE... i.e. a computational geometry imprinted by differential perception limitations of the sub-processor may obscure an underlying "Universal" computational geometry. The "Double Helix" crystallography... exposes the connection between Hydrogen bonds and the DNA ph behavioral changes... identifies cross ratio of paired purines and pyrimidine as a key in species type... and resolves a replication mechanism that supports both variant and complementary functions. SOURCE: The lack of graphical and/or conceptual link to "Universal" processor and/or it's source... and the conceptual necessity for a dependency on external biological/Mass Energy entity sources... infers unverifiable link to the "Universal" information processor source... i.e. with regard to a sub-processor of the "Universal" this is a perturbative Energy source model. SWITCH: Graphical visualization of rotated 2D splines and planes... as the spatial icons for energy transfers... facilitate constrained 3D node transport options... i.e. does not utilize the extended transport options of a 3D volume base unit. DATA BUS: Graphical visualization of spatially defined Mass entities... mapped as 2 helix chains wound around a common axis... i.e. an energy channel and connections... allows investigation of the data bus connectivity options currently identified as being utilized by DNA applications... but offers no exploration of genetic function connectivity facilitated by a data bus quantized by a valid 3D unified computational geometry. Corpuscular String Theory (CST) is an investigation of perturbative Energy entities and events... as geometries... in an attempt to determine the underlying connectivity... i.e. Energy path dictates... that correspond to observed entity behavior. There is no minimum unit of Energy (QE) or minimum unit of Spatial containment (QI) of Energy specified... and no congruent computational geometry... i.e. no resolve of a "Universal" computational geometry/quantization connectivity between entities. SOURCE: The model is not linked to an Energy source... and/or... it's associated data processing sequence... i.e. this model is a perturbative Energy source model. SWITCH: Graphical visualization of mathematical relationships... conceptualized from particle accelerator scatter screen data... have not resolved a singular switch mechanism. DATA BUS: Graphical visualization of spatially defined conceptual mathematics is restricted by inability to differentiate Energy as a Mass entity... from Energy as a Mass event/interaction... i.e. channels and connectivity required for information system data bus are un-verifiable. This model investigates initial conditions of an Energy/Space/Time computational geometry that would inflate to facilitate observed perturbative entity interactions... but without defining a minimum unit of Energy (QE) and a minimum unit of Spatial containment (QI) of that Energy... no connectivity to "Universal" Source or Switch... can be computationally visualized...i.e. perturbation is still an issue. It does however advance Alan H. Guth and Paul J. Steinhardt's speculation "... that the entire universe evolved from literally nothing." ... and by suggesting the possibility of a continuous emission... supports readily available QE... as opposed to a singular emission event... which would induce escalating competition between Energy applications as the system expanded. SOURCE: Conceptual mathematical Energy relationships are being restricted by lack of QE/QI addressing abilities.. i.e. no computational visualization available at resolution required to resolve source... i.e. Origin Singularity geometry. SWITCH: No computational mechanism for a minimum Energy quanta (QE) and minimum Spatial quanta (QI)... inhibits any graphical quantum transport mechanism verification. DATA BUS: Graphical visualization of large scale channels and connectivity yield entity development closely resembling UQS unifed field emission entity development ... but the spatial Boolean map is not verifiably quantizable by a uniform base unit volume... i.e. the data bus would essentially be a constrained 3D bubble tree structure that does not take advantage of the connectivity of a unified 3D volume base unit quantization. This inherent function requirement, dictated further reduction criteria...i.e. a unified volumetric unit of quantization is required to quantize a spherical singularity that supports equal distribution in all directions. 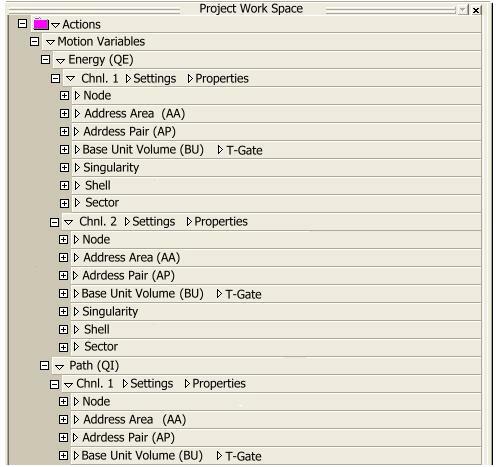 The UQS CAD environment supports an Energy/Space relationship... i.e. QE/QI... that expands as spherical shells of 3D unified base unit radii... within a valid unified field geometry... and resolves the consciousness investigation as the ability to process an Energy quanta (QE) differential in a minimum Spatial unit (QI)... i.e. a verifiable reality. DATA BUS: CAD/SIM visualization of a pulsed emission and subsequent distribution of QE/QI... by a channel and connectivity network... quantized by a unified volumetric unit computational geometry/coordinate system... that underlies the data bus of all sub-process entities ... verifies spatial Boolean map between all entities... and defines/dictates connectivity and Energy transfer mechanix, between any two or more sub-process entities... i.e. the "Universal Network". Although Sanskrit text verifies that the "Subtle Body" was perceived as a 3D Energy/Information processor... historically, Sanskrit "Subtle Body" illustrations were done as sand paintings... which necessitated visualization of 3D concepts in 2D... not to mention a great deal of patience. UQS facilitates investigation of "Subtle Body" 3D concepts... as an Energy network within a uniformly quantized volume. In that the UQS Base Unit (BU) of quantization extends beyond the body... i.e. is "Universal"... a "point of contact" to the "Universal" processor and it's source is inferred. Theoretical models can extend visual perception... but validity of data thus obtained is based on the validity of the computational geometry upon which the theoretical model is based... and the appropriateness of it's application to a visual perception. The UQS computational geometry facilitates a theoretical perception of an Energy network that can support mechanix/functions not apparent to current visual verification... and unifies any perturbative entity with a "Universal" network... i.e. certifies "Universal Network Compatibility". In that the length of the Sinusoidal String is NOT a measured property... the relative size and position of entities can not be established within any computational geometry... but by utilizing UQS, the possible paths between any two observed Energy interaction events... can be geometrized as "QE/QI jaggies" within the background quantization. The right portion of the illustration... depicts a minimum distance between Quarks... and a minimum length Sinusoidal Hadron... i.e. string amplitude = 0. Such spatial constraints restrict visualization... i.e. the UQS Address Pair (AP) planar jaggies are not colored in. The left portion of the illustration depicts a one Shell... i.e. 1 BU radii... increase in Quark separation... and an arbitrary increase in Sinusoidal Hadron string amplitude to provide spatial expansion required for visualization of the UQS Address Pair planar jaggies. The CST Quark entities... i.e. observed Energy interaction events... resolve as QE Distribution Switches in the QE/QI choreography hierarchy that defines entities. Non-Mass QE/QI data may network at quantization scales of a smaller size than do Mass entities... and one can NOT assume the quantization of entities illustrated is equivalent to the Origin Emission quantization... i.e. minimum QI spatial containment. It can be shown that any Energy form/structure can be resolved as "QE/QI jaggies" at Origin Emission quantization resolution... i.e. minimum background quantization ... and therefor the Equatorial Hadron string and the Pinned Vector Boson string can also be resolved as UQS "QE/QI jaggies". In that Andre Linde's model does not specify the geometry of the Origin Singularity... any subsequent hierarchal Energy form/structure can NOT be networked to an Origin Emission Pulse. If we specify a minimum Quanta of Energy (QE) and a minimum Quanta of Space (QI).... we can utilize the UQS unified field background quantization embedded in Space by Pulsed Emission of Energy distributed equally in all directions from the Origin Singularity... as Energy-Data path dictates/options.... and all subsequent Energy form/structure can be resolved as "QE/QI jaggies" within the background quantization. That is to say that hierarchal entities are identifiable only as a consequence of Energy choreography within the computational geometry...i.e. the QI structure is a fixed unified field and any observable differential is QE choreography specific... and that choreography is Origin Singularity geometry specific. UQS assumes that investigation of the Universe as a choreographed Energy Emission that can be CAD/SIM mapped... must "boot" from differentiation of the space that quantizes the Energy of the differentiation... i.e. the differentiation of Space generates the initial 2-bits at the root of the "Universal" Quantum Energy Data Bus... and with only 2-bits to generate subsequent expansion of the data field ... a pulsed emission of a finite quanta of Energy is inferred... i.e. accumulation of QE/QI is required to generate the subsequent differentials required to expand the Information System. The UQS model networks pulsed QE Emission from point of Origin, on two embedded Address Pair (AP) channels... i.e. an Inertia Channel and a Radiation Channel. The left portion of the illustration depicts the Pulse-Four-Open condition (P-4-O)... which is in tension... i.e. greater than 1 QE/QI... and if specified by user/player must "Pop" on pulse close. The right portion of the above illustration depicts the Pulse-Four-Close (P-4-C) ICS solution under specific user/player setting... i.e. in this case Transverse Axis (TA) Gate setting: OPEN... and QE transits/migrates from Origin Singularity (OS) Address Pairs (AP) to the Shell One Radiation Channel QI Address Pairs (AP). The UQS Lab/Game is being developed to resolve "Universal" network expansion... past and future... as a consequence of "Universal Consciousness"... i.e. on the basis of ICS solution dependent options. Any theory/model must be supported by experiment and application of derived mechanix to reality... or revised. "... a well defined model... should make it easier to devise crucial experiments. "...~ Francis H. C. Crick  co-development of "Double Helix"
In that I do not have a particle accelerator... and/or... access to extensive scatter screen visual data... and my biological lab is not visual DNA resolve equipped ... I am utilizing the "Subtle Body"... to make application of the UQS computational geometry and derived mehanix... to reality. The scale of the data entity processed by any application... may constrain the functionality/mechanix of the application... i.e. applications that process Mass scale differential data entities are constrained to classical physical properties. My 1968 Webster New World Dictionary 2cnd. edition... defines Psychic... as "sensitive to forces other than physical"... and our minds do process data at sub-Mass scale resolution... i.e. thought processes. In regard to the practice of Tumo Yoga... i.e. psychic body heating... the existence of applications that process sub-Mass scale differential data entities... i.e. psychic apps.... are supported by "Subtle Body" disciplines. As with any long held model... it was first necessary to strip doctrine/dogma from the application help files... and installing a visualization of a computational geometry on the physical entity... i.e. "the whole-I spirit must descend". ~ B.T. Spalding ... took some practice. It should be noted that although psychic applications can be verified... any given function request may auto default to previously biased application... i.e. the willful newborn who consciously kicked the blanket off while sleeping, was repeatedly overridden by parental discretion. That is to say that conscious choice... to allow alternative data process response... takes physical and mental discipline. However... given the concept of freely available sub-Mass scale Energy... and the option of a psychic application to manipulate that Energy within an addressable spatial containment... 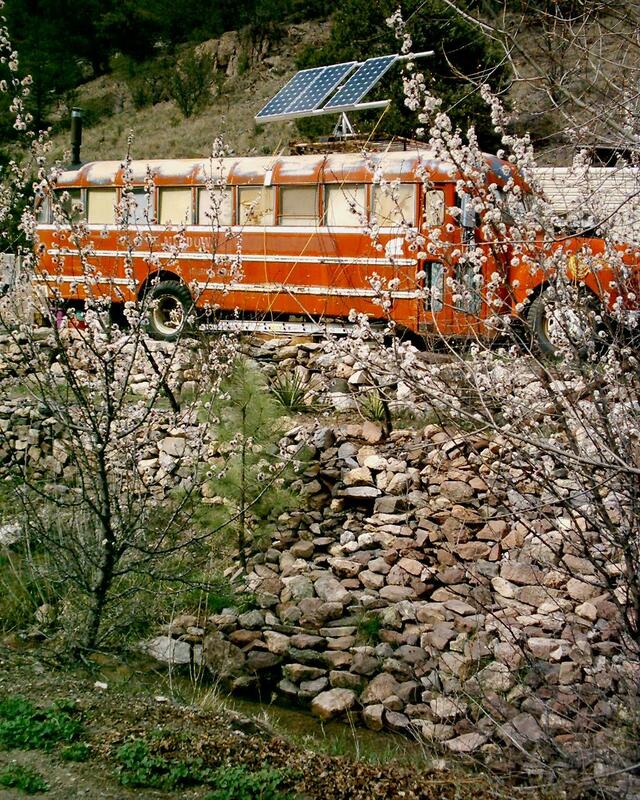 I was able to utilize the UQS matrix and associated mechanicx... to conceptualize data bus connectivity that facilitates Tumo Yoga... and within 3 days... was able to self-heat and sleep/dream comfortably at 54 Fdegs. Note that Millirepa's cave was... as are most caves... approximately 54 Fdegs. In the subsequent 6 weeks I was able to maintain comfortable galvanic shell/envelope temperature at 46 Fdegs. In the interim 6 months... symptoms that may be attributable to 66 years conditioning inflexibility of my circulatory and digestive system circuits... but can not be isolated from the Tumo experiment... have forced me to proceed with caution. Given the concept of energy as data... standard data process functions... i.e. compare, copy, replace, delete, etc.... can be applied... and the critical experiments deal with the potential for sub-Mass scale applications to process Mass scale data entities. I have successfully applied data polarity transport to re-align the ulnar nerve in my right arm... and symmetry radiation to control a dime size tumor on my left shoulder. These and other group experiments suggest psychic apps. are not constrained to quantum properties... i.e. utilization of psychic apps. to effect classical physical properties is verifiable. 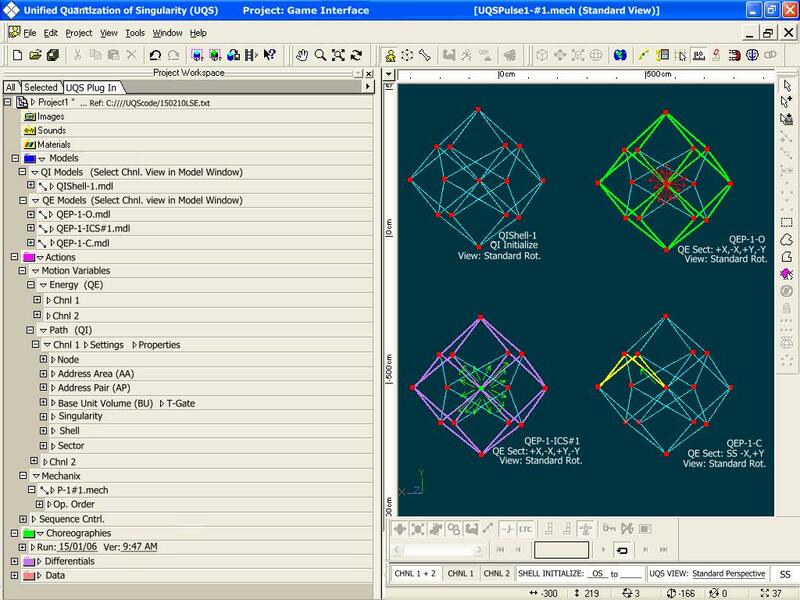 Application design for any logic processor... including the mind... is based on one's understanding of the processor's underlying computational geometry. In that "Universal" computational geometry is derived specific to an Origin Singularity geometry, which dictates subsequent Energy Emission... one's Origin Singularity geometry and Universal Emission Myth are critical to verifying mechanix/functions applicable to reality. If one's own consciousness is a data process... a valid model of the associated computational geometry... and verification of the Energy source that lies at the root of the process... is essential to determine Switch and Data Bus components... and subsequently... access to installed, and development of... application options. The Energy choreography of the Hydrogen proton... which I have repeatedly insisted is pre-requisite knowledge for development of the Star Trek Replicator... apparently teeters on the border between a Mass scale and a sub-Mass scale data entity. However... if sub-Mass scale applications... i.e. psychic apps.... are not constrained to quantum properties... i.e. can process Mass data entities as composite sub-Mass scale entities... perhaps the Star Trek Replicator is an application option of the human information processor... available to those who evolve the mental and physical discipline required to develop and utilize the application's functionality? 2. E.Fredkin; 'Five Big Questions With Pretty Simple Answers'... IBM Journal Res. & Dev., Vol. 48, No. 1, Jan. 2004.